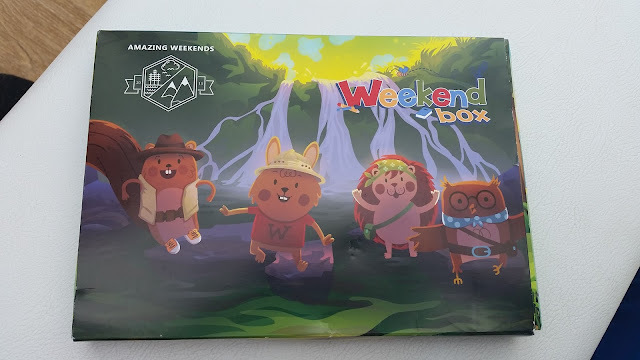 I was contacted by a company called Weekend Box and asked to check out their latest brand team up. They linked with Snazaroo face paints to make an AWESOME pack of fun. You can sign up to become a member and receive a fun new activity for the weekend. 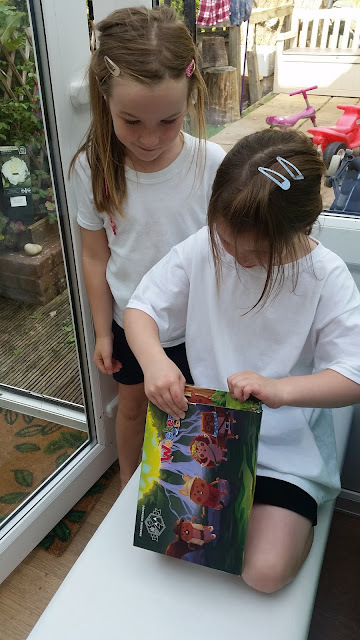 The girls were really keen to get in to the box and see what goodies awaited them. Once opened, they very quickly cleared off the table and set about making up each others faces! The pack came in a brightly packaged box that is just the right size to fit neatly through your letterbox. 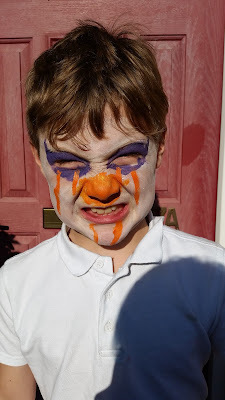 Inside were two cute little packs of face paints, a sponge and decorative stamps! 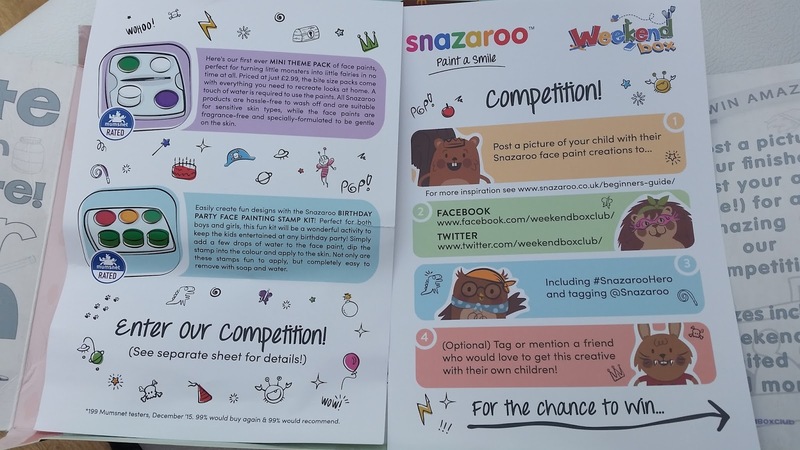 There were also details of a competition that you can enter. The girls were very keen to make a face design good enough to win. We started off using the sponge to spread white paint all over “R”‘s face and then “L” set about the fine details of her design! The paints are easy to use and go on to the face smoothly. The colours are rich and you do not need to use much for a good effect. 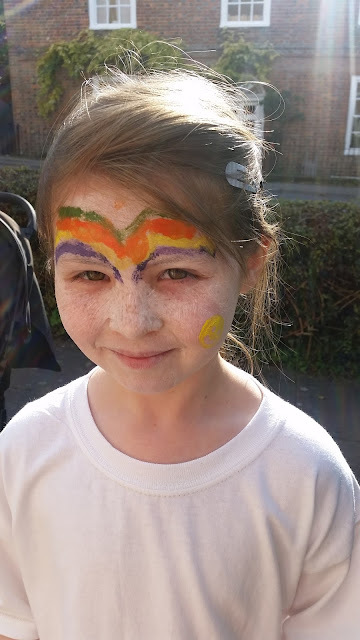 We used the stamps on our hands which was fun, and then added the smiley one to her rainbow face! I think they did they a pretty good job! 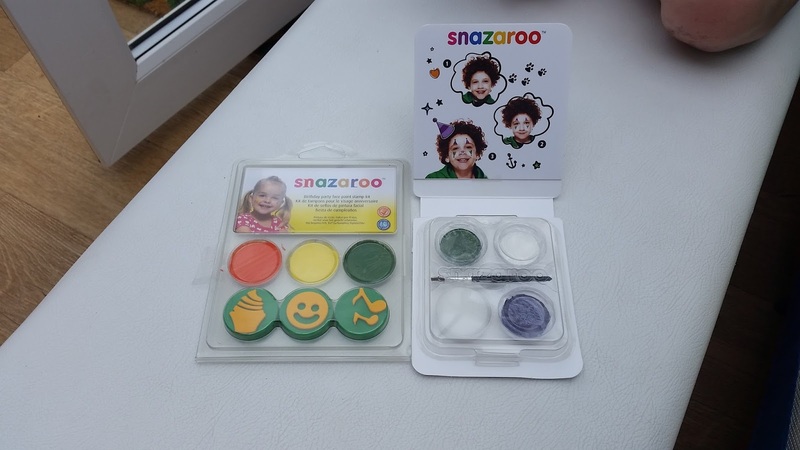 Snazaroo face paints are water based which means they do not smear and smudge like many grease based face paints I have used. They dry leaving a nice smooth finish that does not feel heavy on the skin. 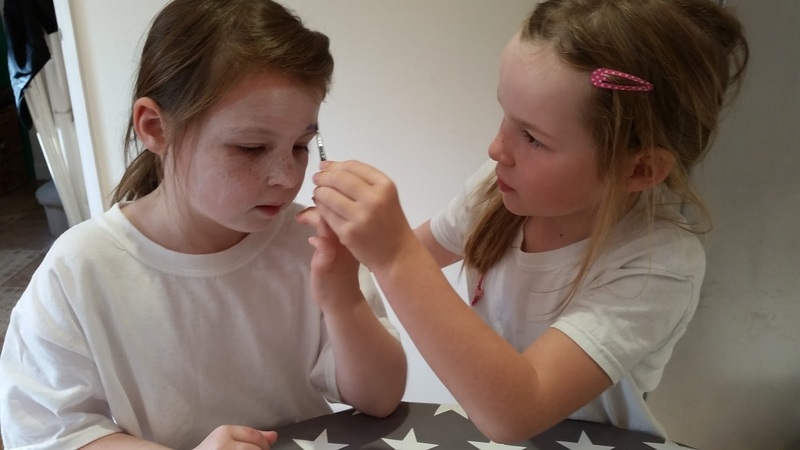 These have been made with a gentle formula that is kind to sensitive skin. 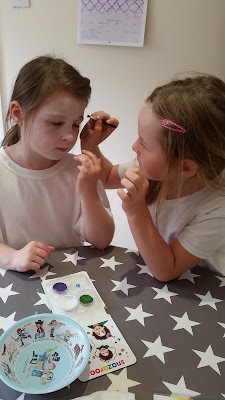 It is easy to layer the paints and because they dry fast you never have to wait long before building up colours. Being water based they are easy to remove with normal soap and water. All sponges and brushes rinse off under warm running water and it can be washed out of clothing easily. 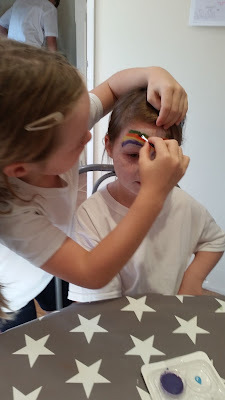 We have been really impressed by the face paints and the idea of a fun weekend box! We have given this a 5/5 and we could not find any faults with the pack or the products. Disclaimer – We were sent the product and asked for an honest review. All opinions given are our own.